A Wandering Fire is a great way to bring together good friends, great food, and an amazing fire! Our mobile, wood fired pizza oven is ready for your next event. We strive to make the best pizza possible – and let good company and a heartwarming fire do the rest. We grow what we can, buy local, and if we can make a better ingredient than we can purchase, we do. The dough, sauces and sausage are all house made. We grow our own Shiitake mushrooms and herbs. Our goal is to share our love for wood fired pizza with our community, and to create a community around the fire. 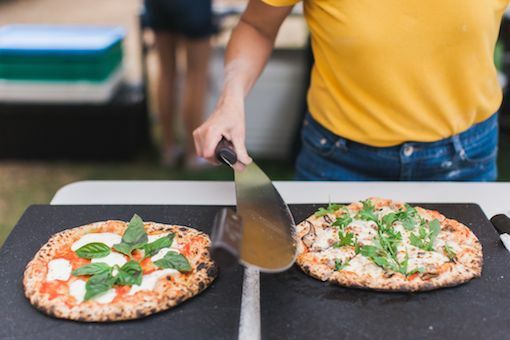 Every Wednesday night, June through September, from 5pm - 7:30pm, A Wandering Fire is welcoming the public to our home base for wood fired pizza. Pay what you can, and a portion of all monies received will be donated to a different local cause each week.